Well, this turned out to be a very interesting month, ordered quite a few links + social signals, and right when I thought it was going to be a repeat of last month (eg. 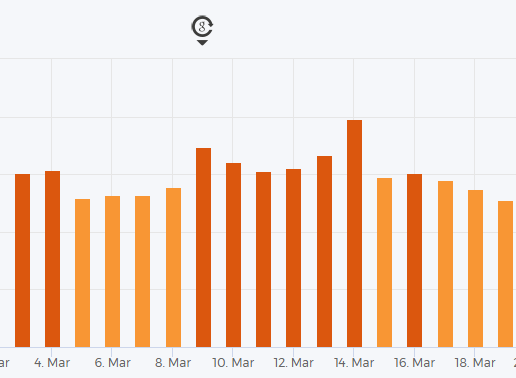 boring), on March 9th Google decided to push a pretty big update that shook the SERPs. The blackhat community in particular was reporting a LOT of traffic drops. The update was named “Fred”, mainly because Gary Illlyes (a dude from Google) named it that. Search Engine Land then published an article on their theory on what the Fred update targeted (low value content sites with a lot of ads), which later got backed up by data from a Sistrix study of the update, a lot of other SEO bloggers followed with their own theories though (like Charles Floate). 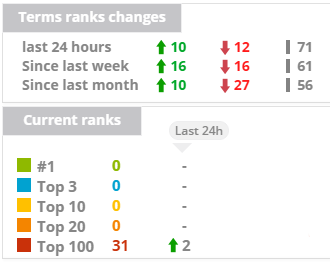 Either way, Project Pyxis got boosted up by a good margin (presumably because of competition getting smashed), so yay me! While that’s great, I’m also very ashamed to say I didn’t notice how horrid the loading time of the site had gotten, it was taking about 4 to 8 seconds to load… Uuuurrrghhh such a stupid mistake, I was focusing so much on backlinks and content, I forgot to recheck loading speeds after adding SSL + CloudFlare a few months back, this would have definitely held back my rankings as loading speed is a significant ranking factor. So I checked pingdom’s speed test to see what the issue was, turns out the problem was in the SSL connection through CloudFlare. So I decided to disable CloudFlare, go back to the origin servers, but of course leave SSL enabled. And WOW, what a difference that made! Gone from 4s to 8s, aaaalllll the way down to 918ms (yup, under a second :)). All in all, excellent month, looking forward to April! Found a decent content team – hands-off content, 4 posts/mo, they’ll write + publish on topics I choose at the start of each month (mainly for topical relevance purposes). Tracking 93 keywords – Good month, definitely still sandboxed, but the Fred update really boosted me up. Multiple decent keywords now in the top 20.